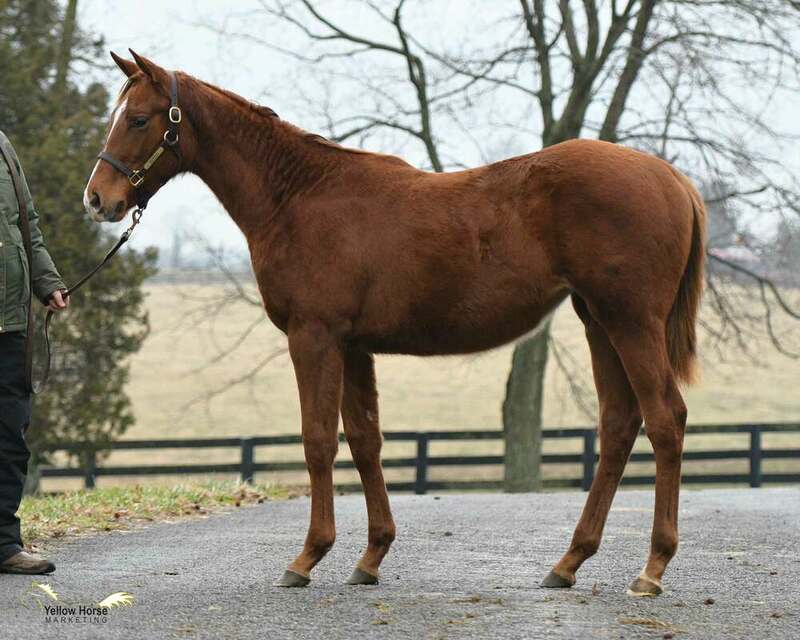 This sharp filly is by WinStar’s hot new sire EXAGGERATOR, CURLIN’s all-time leading earner and only 3-time Grade 1 winner at stud. 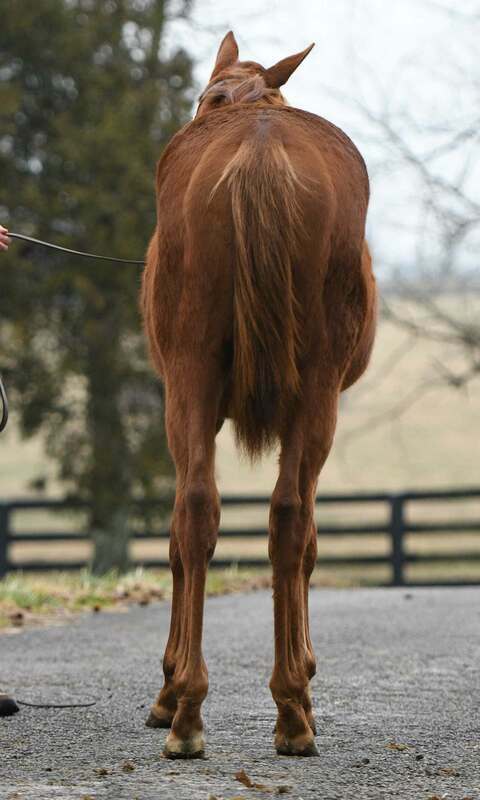 Bred top and bottom to be an outstanding sire, EXAGGERATORis the most accomplished son of two-time Horse of the Year CURLIN, earning more than $3.5 million while becoming a Graded Stakes Winner over five different racetracks from 6 ½ to 9 ½ furlongs. 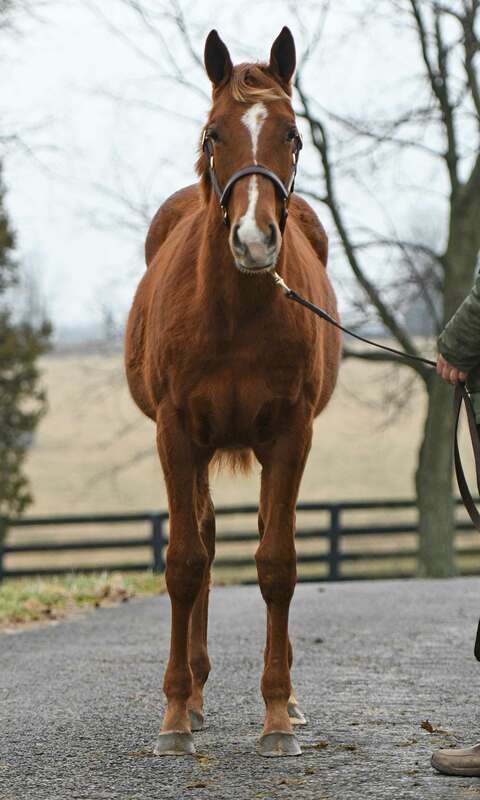 He was also CURLIN’s fastest Classic-winning 3-year-old, with a 103 Beyer in the Santa Anita Derby (G1) plus winning the Preakness Stakes (G1) and the Haskell Inv. (G1). Now his first crop of weanlings are a hit at the sales, with first offerings bringing $230k, $170k, $150k, $150k, $100k, etc. for an average of over $116k! 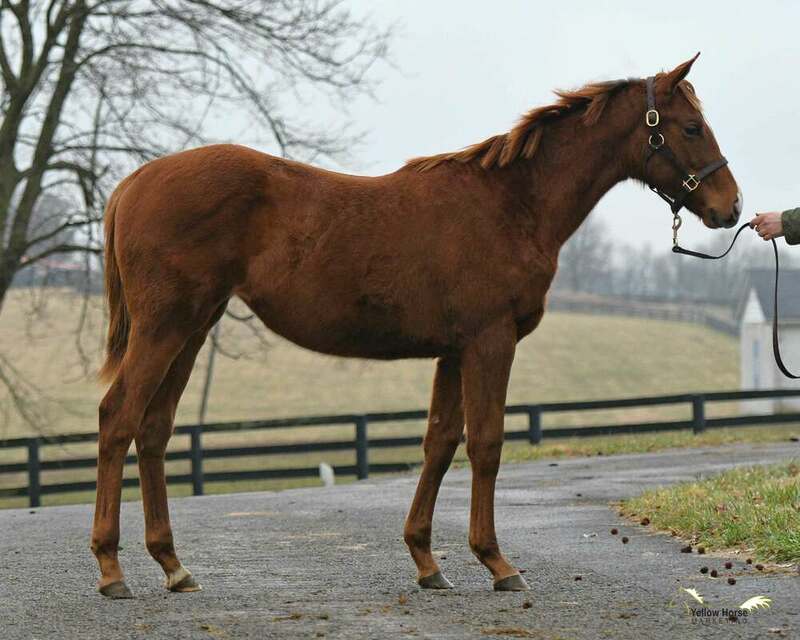 This filly is out of the young GIANT’S CAUSEWAYmare RAISED RIGHT who is a half-sister to none other than ELUSIVE QUALITY(G2, sire), ROSSINI (G2, sire), Seeking Greatness(stakes placed, sire), and G1-producer GREATHEARTED. 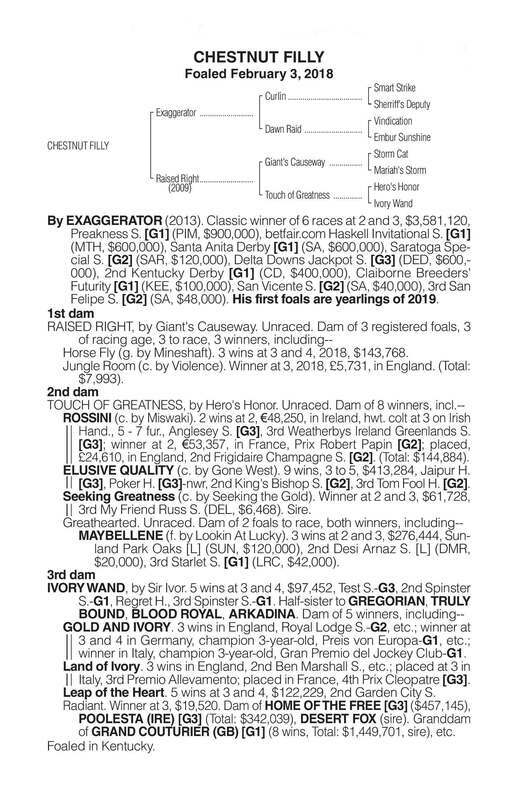 And RAISED RIGHT is definitely on the right track as a producer too: she’s the dam of 3 registered foals, 3 of racing age, with all 3 to race and all WINNERS, including Jungle Room (by VIOLENCE) who was a $277k two-year-old at Tattersall’s and is now a winner in England.